The generosity and helpfulness of Typospherians continues to fill me with awe and gratitude. On Monday, completely out of the blue, a parcel arrived from Richard Polt in Cincinnati. Richard had noted that in a blog post last month about a gold-panelled Underwood Model F, I had lamented running out of grommets. The supply I had exhausted came from the Ace Hardware store, at 344 Ludlow Avenue, Clifton, in Cincinnati, which Richard had taken me to when I visited him last October. It's just 10 doors down from where Richard has organised two Type-Ins, at Sitwell's Coffee House. When I bought these grommets at the Ace Hardware store in Cincinnati in October, Richard happened to have a portable typewriter with him and typed out the order! Richard's thoughtfulness is astonishing and I am deeply indebted to him. He has sent a wide range of sizes to meet all my needs. I smiled as I imagined, reading the customs sticker - on which Richard had simply declared the grommets as what they are - what some young mail sorter or customs official might have made of it. "Grommet? Grommet? Isn't he an animated dog from 62 West Wallaby Street, Wigan?" 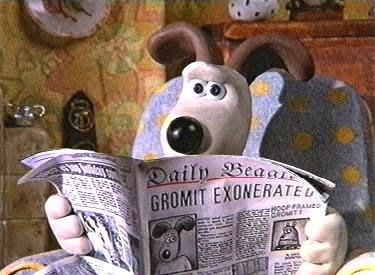 It wasn't me, says Gromit. 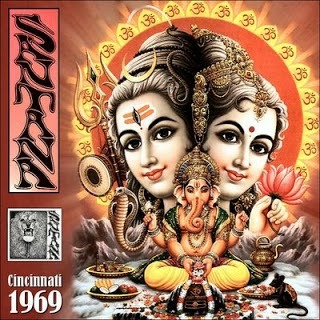 I vividly recall, about 10 years ago, receiving a similar-sized parcel from singer-songwriter Norman Greenbaum (Spirit in the Sky) in Northern California. Its contents were innocuous enough, but customs had ripped the cover apart, and I have since then wondered what had sparked their curiosity. The sender's address? 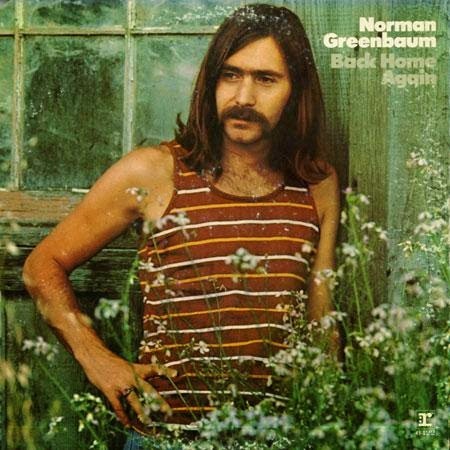 Greenbaum? The song title? Now here's the thing (of what reminded me of Normie's desecrated parcel): These grommets that Richard has sent me came from the same said Ace Hardware store, which is housed in the old Ludlow Garage at 344 Ludlow Avenue, Clifton. 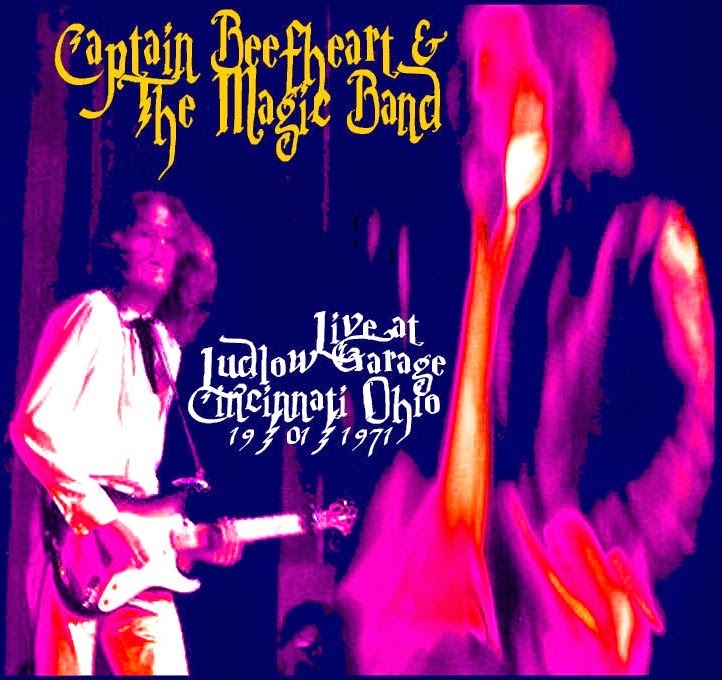 It was the air in the Ludlow Garage that Cincinnati Post music writer Rick Bird once described as reeking with the smell of marijuana. 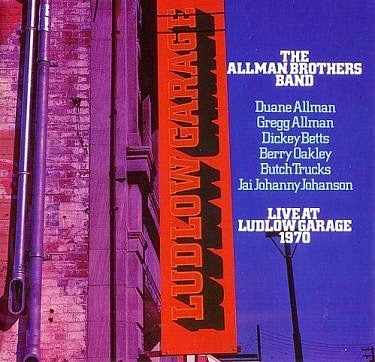 Yes, this is the same Ludlow Garage at which the Allman Brothers and Santana recorded live albums. 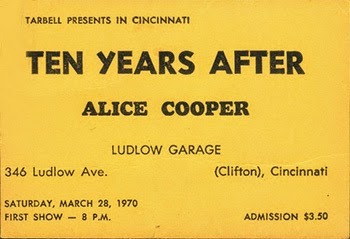 Between 1969 and 1971, it was also the venue of rock, blues and jazz, and psychedelic and electric folk and pop performances by Pink Floyd, the peerless Ry Cooder, Alice Cooper, Frank Zappa and the Mothers, Iggy Popp and the Stooges, Grand Funk Railroad, Johnny Winter and Lonnie Mack, the Bonzo Dog Doo Dah Band, Humble Pie, the legendary Kinks, B.B.King and Bo Diddley, MC5, Herbie Mann, Neil Young, Captain Beefheart, the Incredible String Band and Fairport Convention, among many, many other great acts. 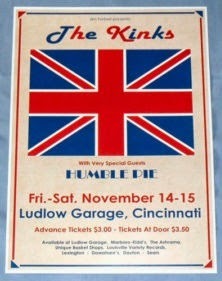 Talk about humble pie - I feel humbled that my grommets have come from a place of so much magic. Little did I know at the time I visited it. I might have knelt down in homage. Where I might also have had to chance to do that was in another Cincinnati historic site to which Richard directed me: Arnold's Bar and Grill. 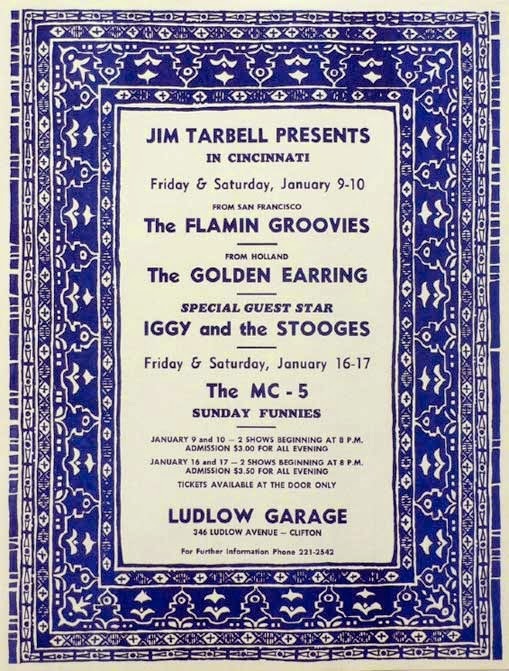 It turns out the same said Ludlow Garage concert promoter, "Mr Cincinnati" Jim Tarbell, went on to own Arnold's. 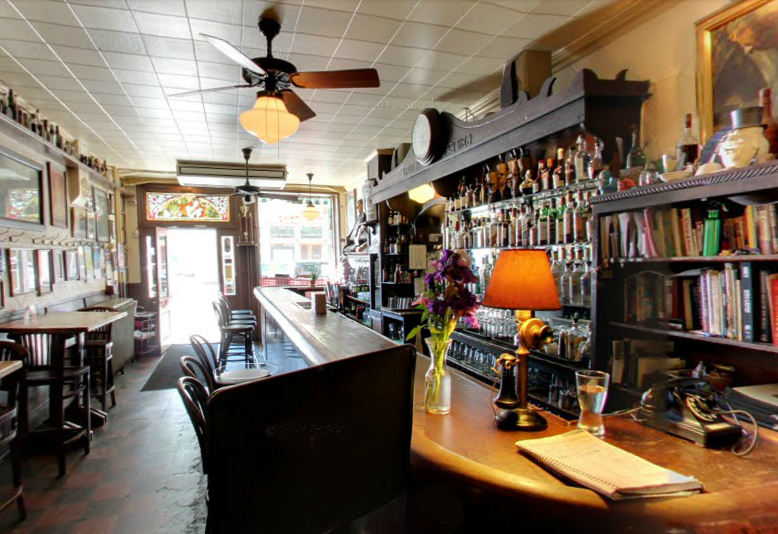 Now, I've drunk in many a bar in my time, but very few are up there with Arnold's (Mulligan's on Poolbeg Street, Dublin, tops the list, but Arnold's ranks high, alongside the West Coast Wine Bar and the Kokatahi). Not Norman Greenbaum in the rainbow scarf, but Jasper Lindell in Freiburg, searching for a computer mini-keyboard shop. I also missed having another Typospherian in Canberra while Jasper Lindell was on a student exchange trip to Germany. I went to his going-away barbecue, and Jasper asked if there was anything I wanted brought back from Freiburg (probably thinking typewriters). 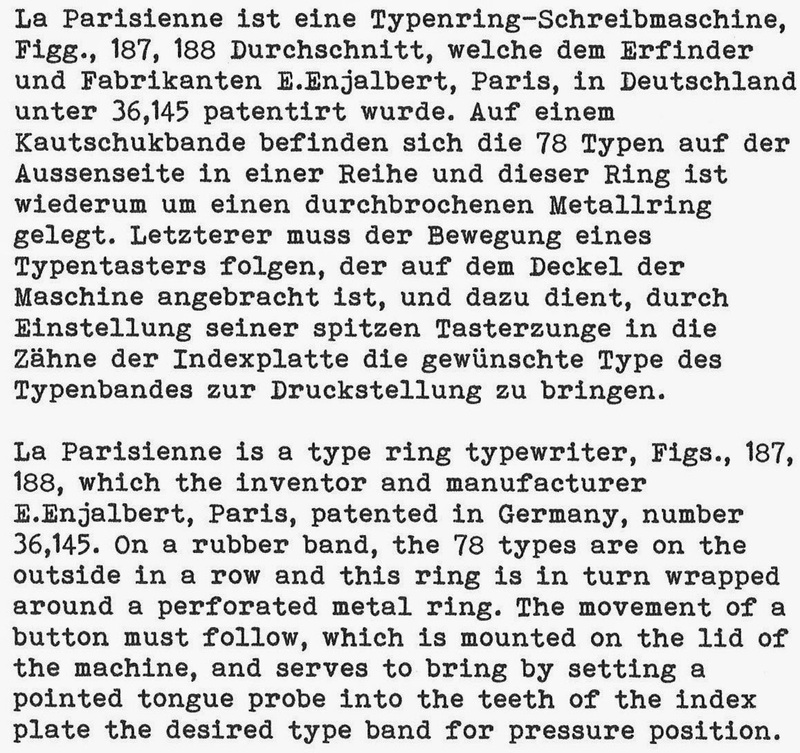 At the time I was struggling to translate articles on typewriter history from German-language works such as those by Müller and Martin, and had had the thought that a German-language keyboard might help me in this considerably. Just before Jasper returned to Canberra last Anzac Day, a parcel arrived from Rahel-Varnhagen-Straße, Freiburg, where he'd been staying, and it was this compact wireless keyboard. It took me a little while to figure out how it worked, since the tiny wee USB connection (circled, above) was tucked into the back of the keyboard - so small I could hardly see it. 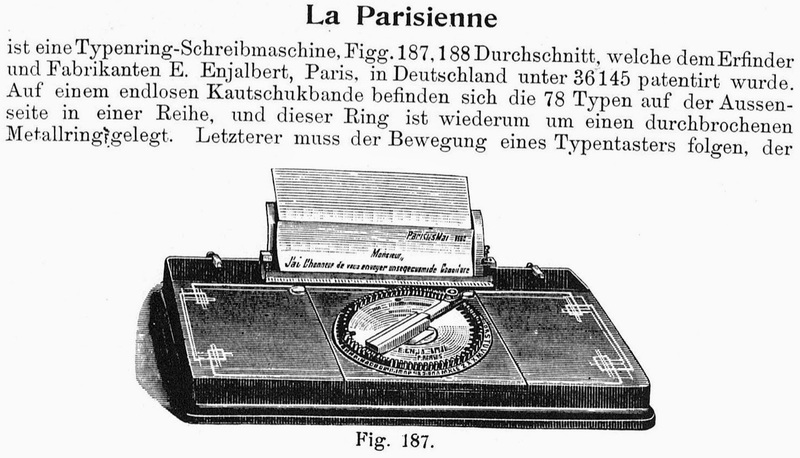 The batteries that came with it were flat, but once I'd sorted all that out, and how to toggle back and forward between English (Australia) and German (Germany) on my computer, I was set. 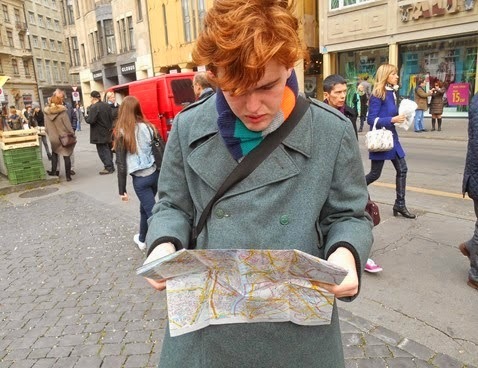 Since his return home, Jasper has completed his internship at The Sydney Morning Herald, where he scored two bylines! On the subject of mail, a week or so ago I had some prompt help from John Lavery, who sent me the front jointing pieces for a Hermes 2000. My own pieces from the smashed machine had gone missing, though I was certain I had kept them. Finally, the good mail was that another John, in Office Essentials around the corner from me, had received a new shipment of Fullmark typewriter ribbons from Malaysia. Thank goodness, as I had exhausted my stock of ribbons as well as grommets, preventing me from typecasting with a few of this week's restorations, such as the Royal 10. It's not like being in Cincinnati, where one can pop down to Spitzfaden's when the neighbourhood supplier has run out. The other thing that stopped me typecasting so much in the past week was a busted typewriter finger. We started to get some rain here in Canberra, just before the official start of winter, and one day when I realised it was raining I rushed to close a sliding door backing on to some typewriters. I put my left hand out to support myself as I leaned forward and with the right hand I slammed the door shut - on to my finger! It's nice to see that the package arrived! And leave it to you to weave an interesting, multifaceted tale out of a package of grommets. Jim Tarbell is a major Cincinnati personality. He's also been active in local politics, and there's a big mural of him that you may have spotted when you were here. Hope your hearing aid turns up soon and your finger heals. Congratulations to Jasper on his bylines! Very happy to have helped in the translation, as it were, of the German resources you're tackling!